Cambridge graduate, Bryony Pearce, fled her ‘real London job’ in 2004 and now lives in the Forest of Dean. She is a full-time mum to her two children, husband and various pets. 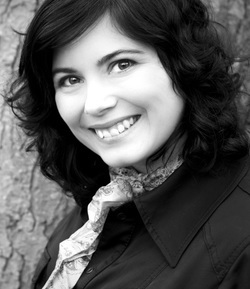 She is a reader for Cornerstones Literary Consultancy and a vegetarian lover of chocolate, wine and writing. People are often surprised at how dark her imagination is, as she is generally pretty nice. When the children let her off taxi duty and out of the house, she enjoys doing school visits, festivals and events. Her novels for young adults include: Angel’s Fury (a thriller about a teenage girl who has been reincarnated), The Weight of Souls (a supernatural thriller about a teenage girl who sees dead people), Phoenix Rising and Phoenix Burning (dystopian adventures about pirates who sail on a junk-filled sea), Windrunner’s Daughter (a science-fiction adventure set on Mars) and Wavefunction (a science-fiction novel about a young man who can jump between universes, based on Homer’s Odyssey). She also has short stories appearing in the anthologies Now We Are Ten by Newcon Press and Stories from the Edge.